Aishwarya Rai and Abhishek Bachchan completed 10 years of wedded bliss on April 20. 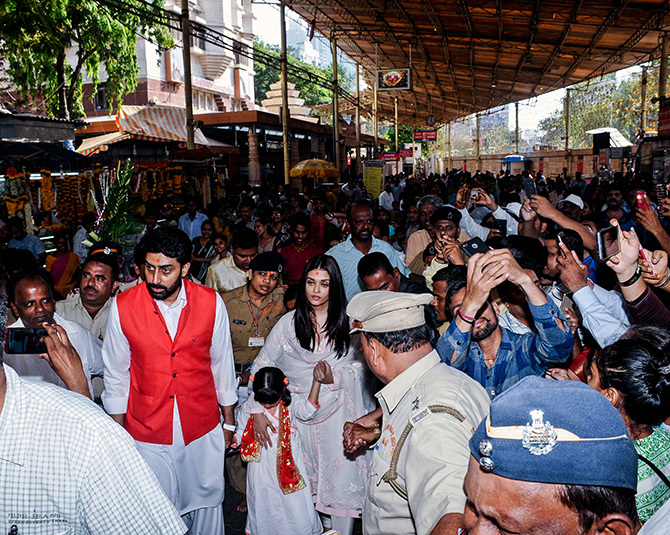 They celebrated the big event by visiting the Siddhivinayak temple in Mumbai and seek divine blessings. 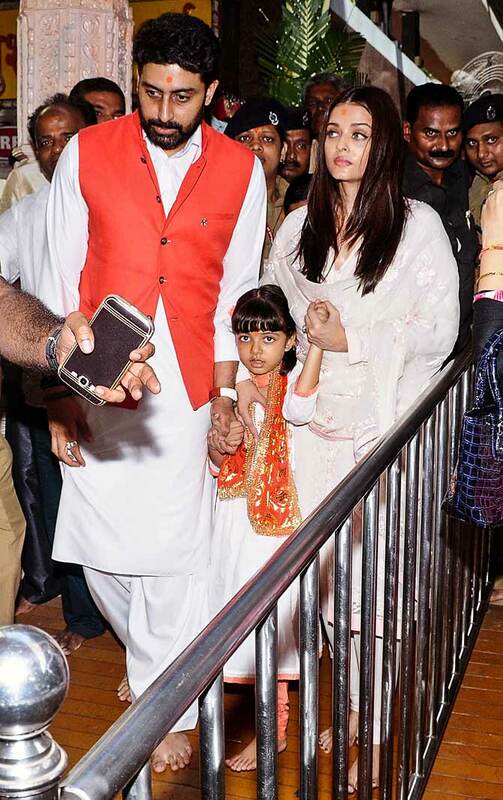 Their daughter Aaradhya accompanied them. 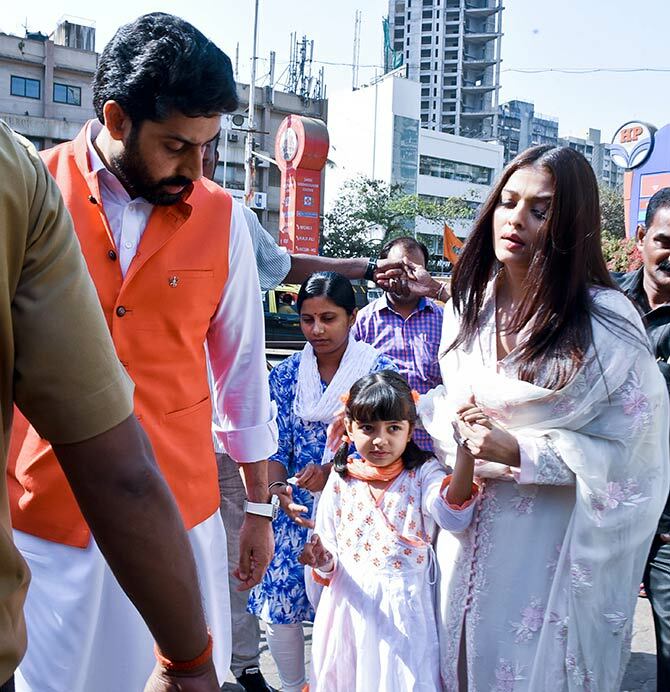 The Bachchans make an entry. 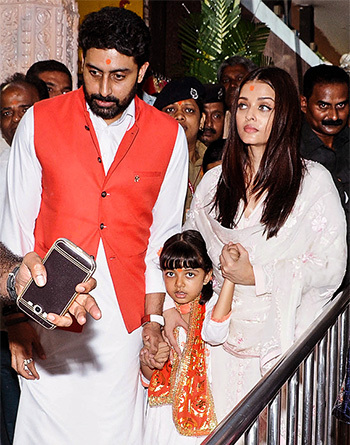 Mommy Aishwarya carries Aaradhya as daddy Abhishek leads. The couple steps out after the darshan. A closer look of the Bachchans. The crowds are ready with their cameras in place to capture the celebrities. Like Priyanka's Baywatch poster? VOTE!